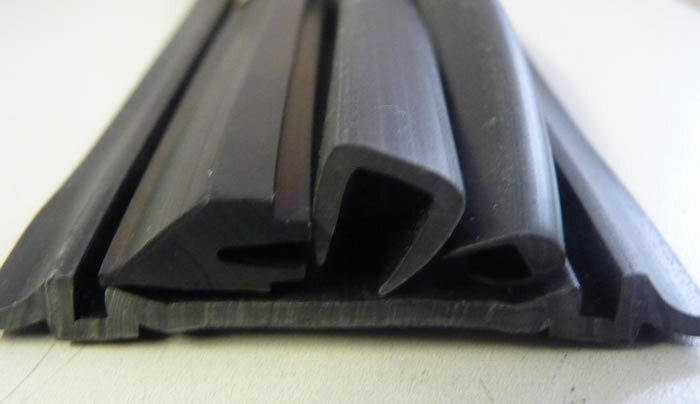 We manufacture a range of bespoke flexible profiles, all of which are made from various grades of PVC. Generally we follow a design presented to us by a client by way of a drawing or sample and by working closely together, finalise material specification to produce the finished article. Usually a bespoke tool is made to match the design and this is charged separately to the customer, who can then decide between whole or part ownership. Tools vary in cost from £100 to many thousands of pounds depending on the size and complexity of design. 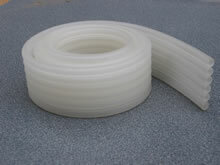 We also have many tools of our own that may be suitable for your application. Call our sales office for technical advice & prices.